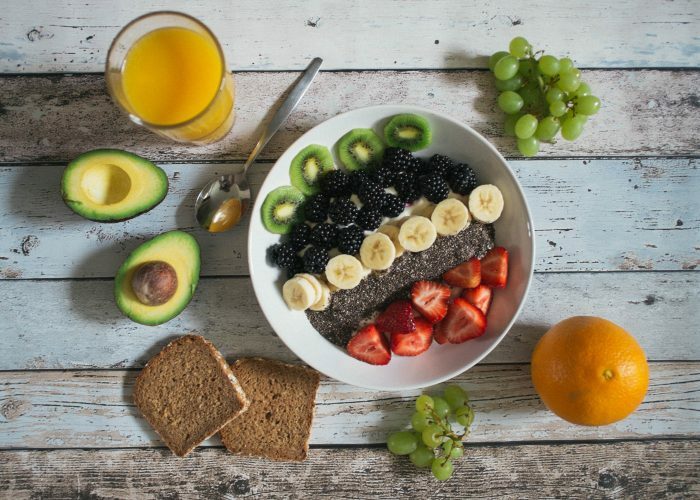 In Part 2, I would like to discuss other key nutrients vegans and plant-based eaters alike need to consider when planning smart healthy diets for themselves and their families. Adequate amounts of these nutrients need to be included in your intake, particularly if you are excluding all forms of animal-based protein from the foods that you eat. In Part 1, I discussed protein, calcium and vitamin D. In this article, I will highlight iron, zinc, vitamin B-12 and iodine. Read on to know the roles these nutrients play in your body and ways to maintain adequate intake to help you and your family grow and thrive in plantiful ways! Iron is key to oxygen transport in the body through hemoglobin. It is also needed for hormone and connective tissue production, growth, development, and cell functioning. Heme is the type of iron that comes from animal proteins in the diet. Non-heme iron, in contrast, comes from plant foods. The absorption of non-heme iron actually varies depending on factors such as the body’s needs and iron status, meal composition and is regulated partly by iron stores. Its bioavailability is also dependent on the ratio of inhibitors and enhancers. Examples of inhibitors are phytates, oxalates and polyphenolics, while enhancers include vitamin C and citric acid. That’s why it helps to eat iron-rich plant based foods along with vitamin C rich foods like fruits for the best absorption! Some good plant-based sources of iron include fortified breakfast cereals, meat analogs, soy foods and beans. Zinc is important in your body in areas such as immune function, healing, cell metabolism, as well as in DNA and protein synthesis. Like iron, due to inhibitors of zinc absorption found in plant-based foods such as fiber and phytate, those on complete plant-based or vegan diets need to ensure adequate daily zinc intake, also in quantities and amounts more than those on omnivore diets. Some good zinc sources are soy products, dried beans, zinc-fortified cereals, meat analogs, grains, seeds and nuts. Certain food preparation techniques like soaking and sprouting beans, grains, nuts and seeds, along with leavening bread, can increase zinc bioavailability by lowering the amount of zinc bound by phytic acid. Similar to the case for iron, organic acids like citric acid can also aid zinc absorption to a certain degree. Vitamin B-12 is needed in the body in very small amounts, but it plays an important role in areas such as red blood cell and DNA formation, as well as in healthy brain functioning. It is usually found naturally in animal foods though some plant foods like spirulina or fermented soy products (e.g., tempeh) do contain natural vitamin B-12 but only in very small quantities. However, there are commercial products nowadays fortified with vitamin B-12 so that maintaining adequate intake of this water soluble vitamin is easier. Examples include certain brands of vitamin B-12 fortified nutritional yeast, some fortified plant-based milks, meat analogs, vitamin B-12 fortified breakfast cereals and some brands of infant cereal. Check the nutrition labels of commercial food products to see which food items you purchase are fortified with vitamin B-12, and consume vitamin B-12 fortified foods frequently. However, given the importance of vitamin B-12 in our bodies, it may be best for plant-based or vegan children and adults to use a vitamin B-12 supplement, in order to ensure a regular reliable source of vitamin B-12 in one’s diet. The Academy of Nutrition and Dietetics states in its Position Paper on Vegetarian Diets that,” Recommendations based on large doses have been made (e.g., 500 to 1,000 mg cyanocobalamin several times per week)”. For adults, this may translate to a goal of 1200 mg cyanocobalamin taken twice a week (the weekly total would then be 2400 mg cyanocobalamin). For children, refer to this helpful table from veganhealth.org for supplementation guidelines. Iodine is a micronutrient crucial to thyroid hormones which play many roles in the body. For example, thyroid hormones are needed for protein synthesis, in adequate central nervous system development, as well as in enzymatic and metabolic activities. However, iodine intake may be low in a vegan or plant-based diet, because processed foods do not use iodized salt in their ingredients, and sea salt, kosher salt and soy sauce or tamari sauce generally are not iodized. So it is important to regularly include iodized sources such as iodized salt or sea vegetables in one’s intake. Some other sources include lima beans, raisin bran cereal and dried prunes. However, note that the iodine content of sea vegetables can vary quite a bit. Melina, V, Craig W, Levin S. Position of the Academy of Nutrition and Dietetics: Vegetarian Diets. J Acad Nutr Diet. 2016;116:1970-1980. Link to article. Accessed June 27, 2018. Great post ! I’m bookmarking it, thanks for sharing. You are very welcome Megala, I hope you will find it useful! Great information! Thank you so much for sharing these suggestions. Very helpful.